Neil played guitar with the legendary Tam White for 25 years, before releasing his first solo album with Blue Soul Groove. The band is Neil Warden (guitar), John Burgess (sax/flute), Ronnie Rae Jr. (keys), Bobby Heatlie Sr. and Ant Davies (bass). His musical inspirations were musicians like George Benson, Nile Rodgers, Larry Carlton, and groups like The Average White Band and The Crusaders. 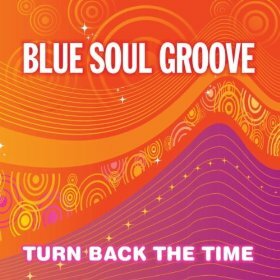 Blue Soul Groove's first self titled five track EP released in 2006, was well received, and provided an impetus to eventually release "Turn Back the Time". Neil said he was interested in expanding the EP, but put it on the "back burner" to focus on work with Tam White, Boz Burell (Bad Company) and Border's singer songwriter Allie Fox. "Turn Back The Time" was released in 2011. Neil and Stuart Mitchell collaborated on the release of "Silent Sky" in 2015. 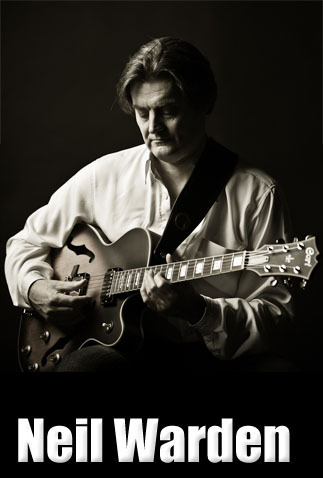 He has performed with: Tam White, Boz Burrell, Peter Straker, Camille O'Sullivan, Maggie Bell, Brian Kellock, Dave Heath, John Burgess, Stuart Mitchell, Stevey Hay's Shades Of Blue, Aqua Bassino and more. 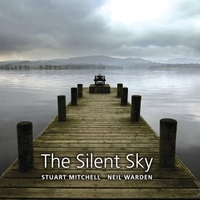 Silent Sky by Neil Warden and Stuart Mitchell"
"Musical offerings from Scotland these days are uncommonly generous in terms of their outstanding quality and enormous diversity. 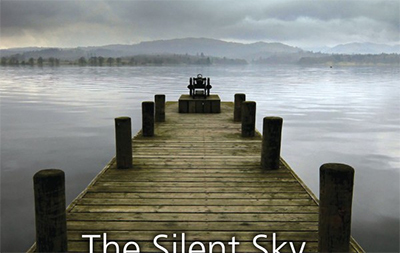 The Silent Sky, by eclectic guitarist/composer Neil Warden and virtuoso pianist/composer Stuart Mitchell, exemplifies the current pattern of free expression married to excellence as standard. Moreover, the album can be bought as a download for at a mere £6.32, and a bargain that seems almost philanthropic." 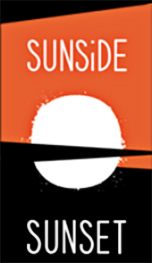 Listeners tuning in to Groove Boutique on the New York radio station WQCD/CD101.9 on a Saturday night might be forgiven for assuming that one of the show's most popular bands, Blue Soul Groove, are native New Yorkers with major record-company backing. The truth couldn't be more different. 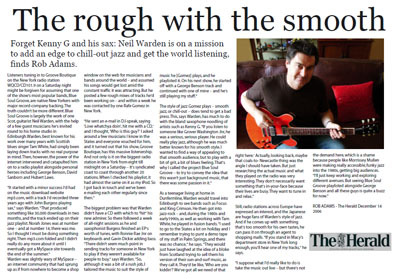 Blue Soul Groove is largely the work of one Scot, guitarist Neil Warden, with the help of a few guest musicians he's invited round to his home studio in Edinburgh. Warden, best known for his work over many years with Scottish blues singer Tam White, had simply been laying down tracks with no real purpose in mind. Then, however, the power of the internet intervened and catapulted him on to a radio playlist alongside personal heroes including George Benson, David Sanborn and Hubert Laws." When the likes of Steve Quirk are saying that Blue Soul Groove are the real deal then it’s time to sit up and listen. Fronted by Neil Warden who writes, arranges and plays both acoustic and electric guitars, the band is even more remarkable in its excellence for the fact that the players all have their roots in Scotland. Indeed not since the days of The Average White Band has a line-up from that country come along with the kind of music capable of pushing open the door on a genre that traditionally has been the province of US based bands. 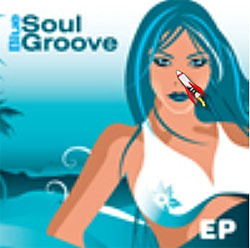 Yet the smooth jazz and cool groove that the aptly named Blue Soul Groove delivers is, in every respect, the genuine article. The bands self titled five track EP is now available on iTunes and is in advance of a full length CD that Warden hopes to release later this year. Put some BLUE SOUL GROOVE in your life!" "It’s always nice to introduce talent from the UK and my Track of the Week comes from Edinburgh in Scotland. It’s by Neil Warden’s BLUE SOUL GROOVE. I’ve been in touch with Neil for over three years now and you may know the track ‘3AM‘ which has been heavily played on radio and featured on my Fusion Flavours 20th Anniversary CD.